Total Productive Maintenance (TPM) has been introduced as a new requirement for the automotive quality standard based on previous non-conformances noted in the areas of equipment management. 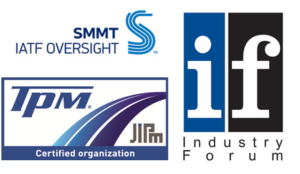 This one day overview will provide you with an understanding of the role of TPM within IATF16949, the reasons for its addition to the standard and an outline of the main components of a TPM based equipment management system. This workshop is designed for operations, quality and maintenance leaders who need to introduce TPM to improve their equipment management system and satisfy the revised requirements of the standard. TPM principles align with the purpose of the IATF 16949 quality standard and will enable you to develop an equipment management system which engages employees, ensures quality output, increases equipment availability and performance and is based on the development of standard operations. Participants will learn about the structure and principles of TPM and how to use those principles to both improve efficiency and satisfy the requirements of the standard. 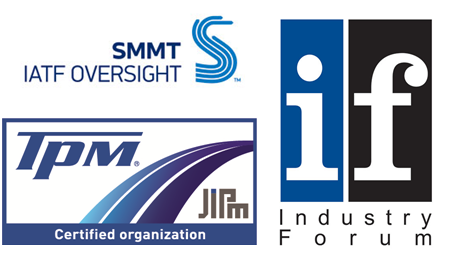 Industry Forum are both the authorised training provider for IATF 16949 and certified as a TPM training and consultancy organisation by the Japan Institute of Plant Maintenance, the original developers of TPM. This workshop will be led by a TPM Black Belt, certified by JIPM. Our trainers are expert practitioners in both TPM and IATF16949:2016 with hands-on industrial experience and highly developed communication skills.